Smith & Nephew Dermal Wound Cleanser is indicated as first-aid antiseptic to help reduce risk of infection in minor cuts, scrapes and burns. Aids in removal of exudates and other foreign material such as dirt and debris from skin and wounds. 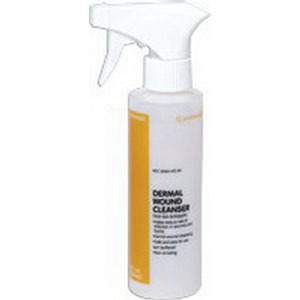 Contains Polysorbate 20, a effective surfactant that makes cleansing quickly. Ideal for washing small superficial wounds.